Bob has had extensive experience in the building engineering services field for many years, having worked with a number of engineering services consultancies and major UK contractors. Before setting up The Hampden Consultancy, he spent 3 years with Laing Management where he was employed as a senior building services design co-ordination manager responsible for overseeing the installation and commissioning of various engineering services at the Chelsea & Westminster Hospital. Throughout his professional career he has been involved in the design, specification, supervision and/or project management of mechanical & electrical engineering services installations on a wide range of projects, located both in the UK and overseas. These projects have included major new hospitals, airport terminal buildings, royal palaces, banking & commercial buildings, government laboratories, hotel & leisure facilities, military facilities and the renovation of ‘listed’ buildings. In addition, during this time Bob has also been involved in the revision and updating of a number of Health Building Notes on behalf of the Department of Health and NHS Estates, including assessing relevant departmental cost allowances for engineering services. He has more recently assisted in the updating of HTM2025 [Ventilation in Healthcare Premises] and which has now been published as HTM03-01 [Specialised ventilation for healthcare premises]. As a result of his work on NHS standards documentation, coupled with his previous experience of working on many healthcare projects both in the UK and overseas, Bob has frequently been able to advise and assist a number of major PFI consortia working on healthcare projects, as well as acting for clients in claims related to engineering services within healthcare facilities. As part of his duties and responsibilities on such projects, he has undertaken activities such as carrying out condition surveys on properties being considered for PFI schemes, managed bidders’ design teams, undertaken design audits (both pre- and post-contract), advised bidders on NHS compliance in respect to mechanical & electrical engineering services and other related issues. He has also assisted in identifying and resolving a number of major technical issues on both a recently completed PFI hospital and three new health centres currently being built under the LIFT programme in south London. In addition, he has recently undertaken an in-depth design audit of the air-conditioning & ventilation systems on a large hospital located in the Middle East. Bob is also able to undertake ‘whole life cycle costings’ in respect to mechanical & electrical engineering services. 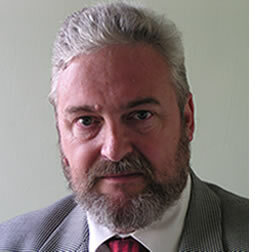 Finally, Bob is a member of the UK Register of Expert Witnesses and has previously been retained as a non-legal Expert Determiner for contracted mediation panels.